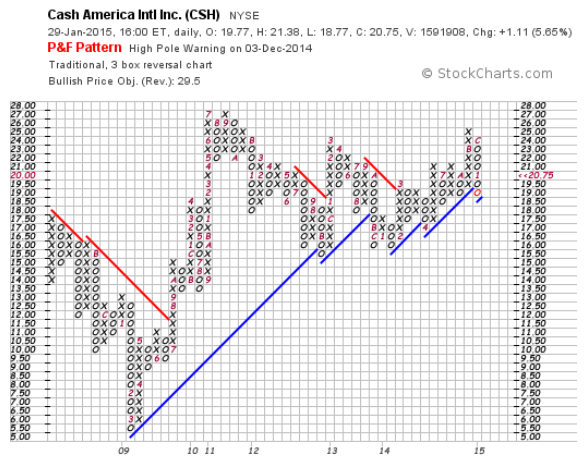 Cash America International (CSH) is certainly appearing as an undervalued stock. Book Value Per Share and Earnings Per Share. This firm has paid a dividend continually for 16 years. The results of the 17-point Benjamin Graham stock assessment. The Quantitative Result (Intrinsic Value ÷ Previous Close) for a stock has to be 100% for true Graham investment. Definitely Cash America should be on our list of undervalued stocks and deserves a further look and scrutiny. 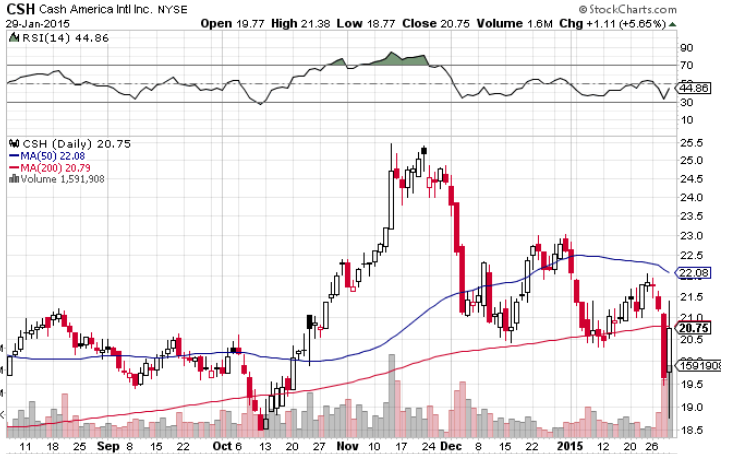 Below is a chart as of the close on January 29, 2015. 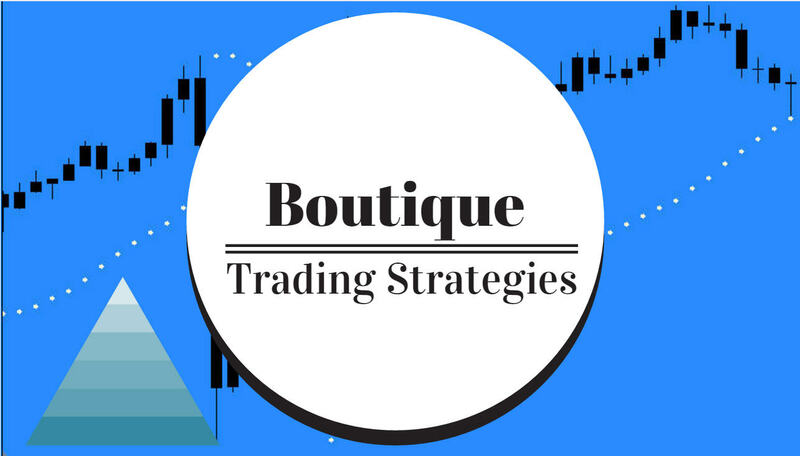 Definitely this stock is undervalued and any investor is well advised to review the numbers carefully and perform strict due diligence.